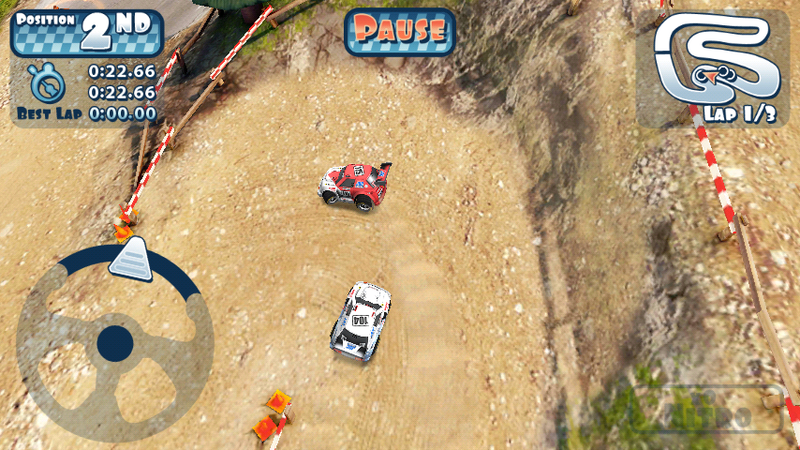 Mini Motor Racing is a fun addicting game developed by The Binary Mill created for iOS and Android platfom. 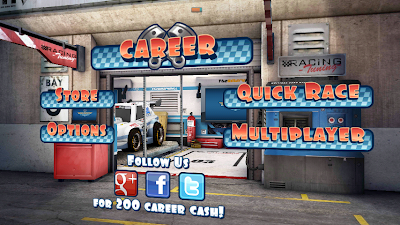 The game is released on May 11, 2011 on Google Play. Once you start to play the game you'll notice how great the graphics, sounds and the game play. 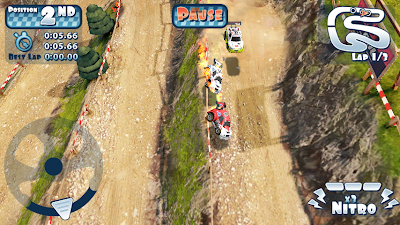 The gameplay of the game is just race to the finish. The controls for is different to other racing game where you use the accelerometer of your android device to control the movement of the car, in Mini Motor Racing you only use the translucent steering wheel and nitrous button. You can't control the acceleration of the cars because there's no button for it. I also notice that there is no breaks to use so the user must use power slides in corners. Proper use of nitrous after power-slides can gain advantage to the user. 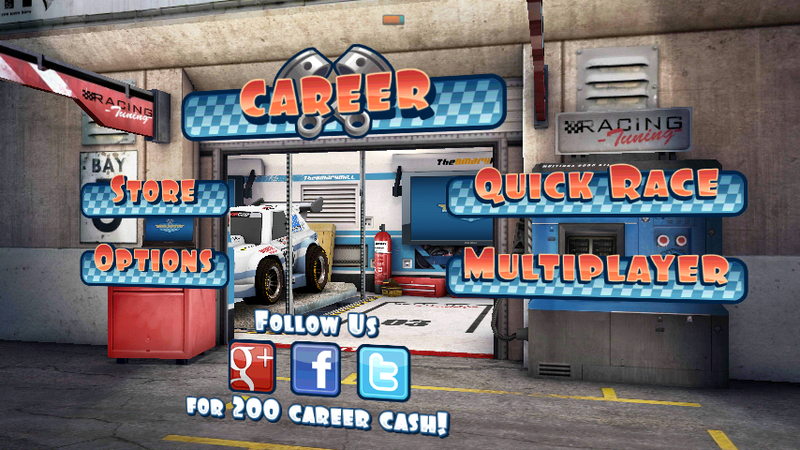 Chose different types of car. 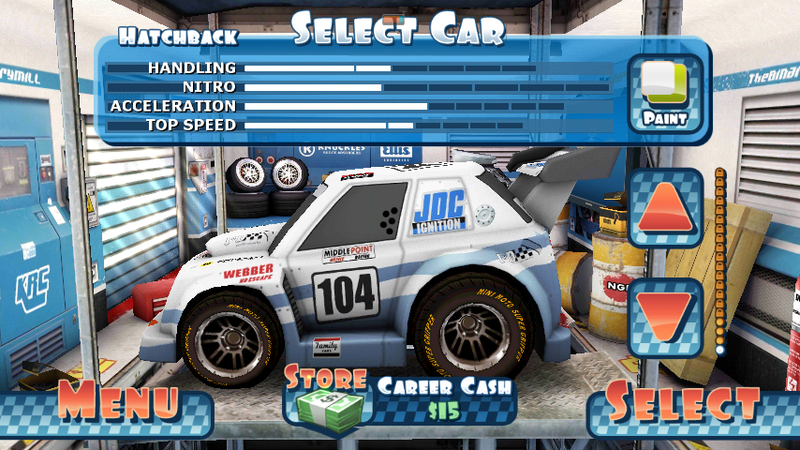 Upgrade your car for the next race. 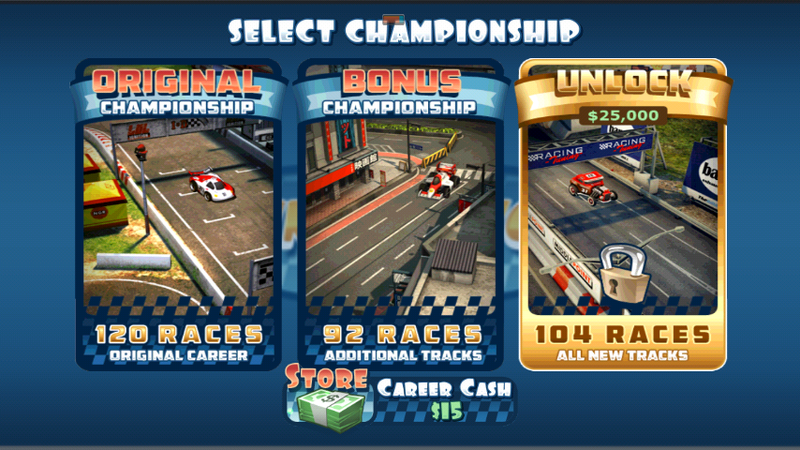 Finishing the race 1st, 2nd or 3rd earn you a money to spend for upgrades to your car. 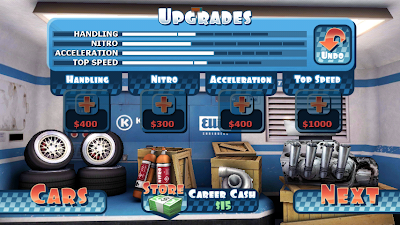 You can upgrade acceleration, handling, nitro or speed. 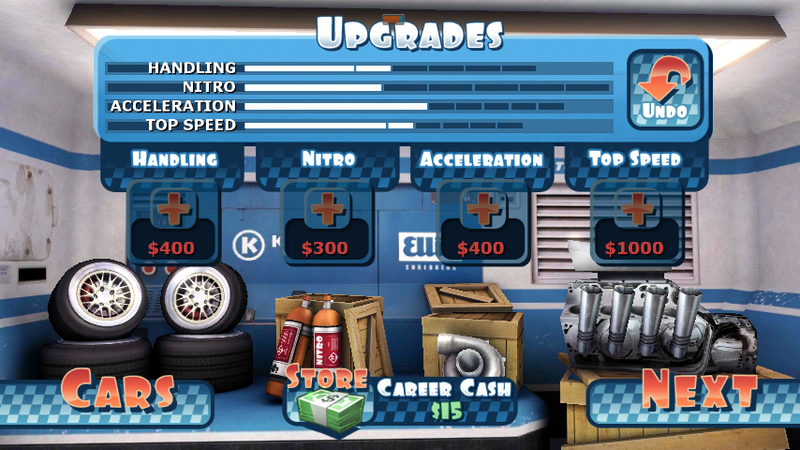 Aside from upgrading you can also customize the color of your car or buy a new one a more faster and better. You can challenge your friends via WIFI. Race up to 316 day and night. Use power slide in corners. Burn your tires by using nitro! Use it wisely. 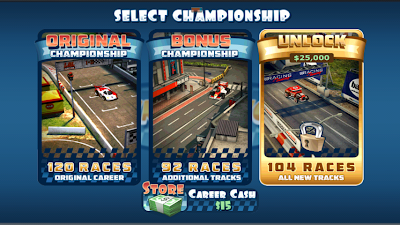 Below is a short gameplay of Mini Motor Racing. Enjoy watching!